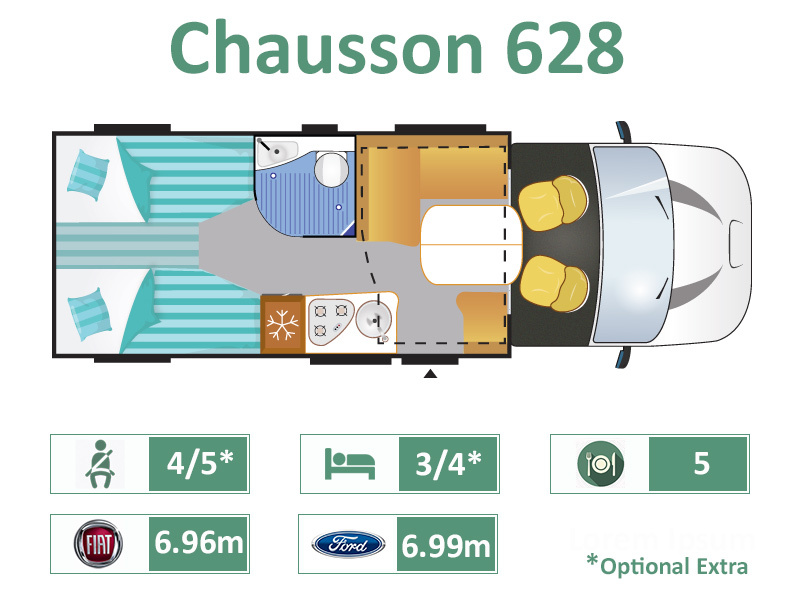 The 628 model stays with an overall length of just 7 x metres, but provides a more traditional layout, with a height adjustable rear island double bed, over a large garage beneath. 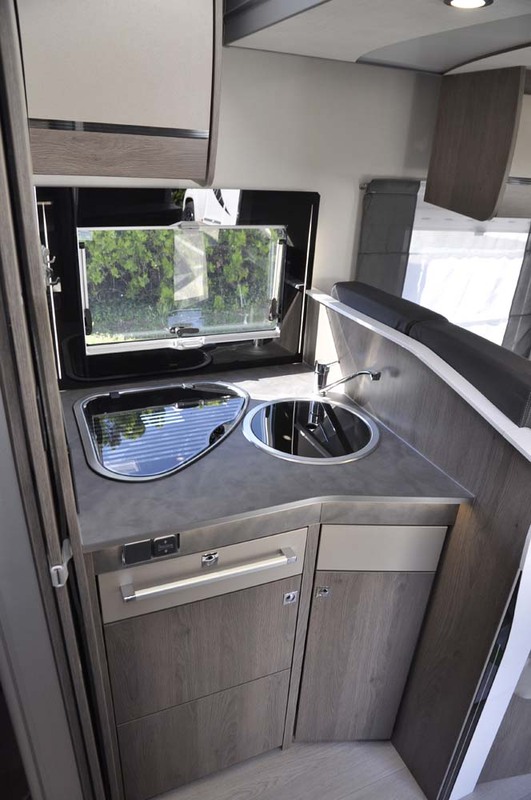 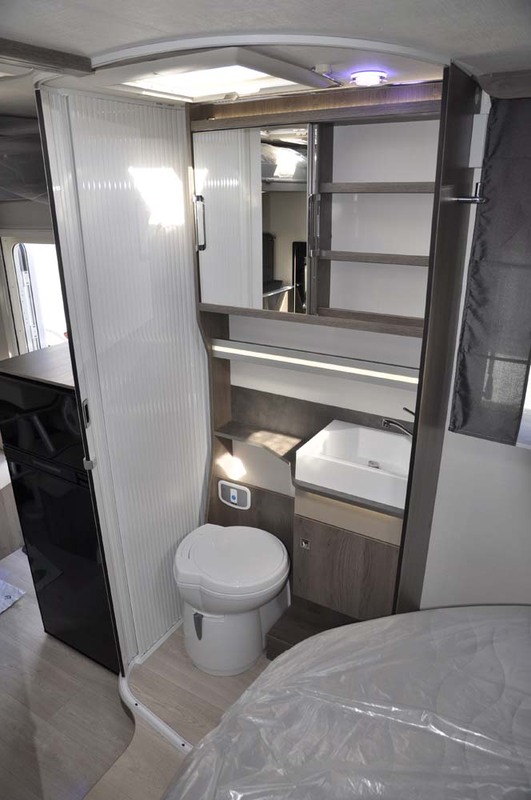 There are en-suite separate shower and washroom cubicles, a mid kitchen and a forward seat-belted lounge with optional drop-down double bed above. 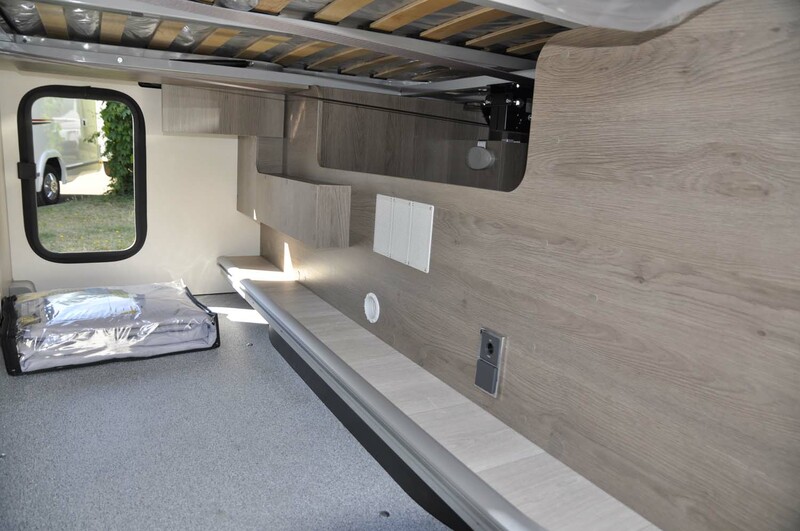 Available in the Welcome or Welcome Premium specifications, and on the Fiat or Ford chassis with manual or automatic transmissions, or in the Titanium specification on the Ford chassis with Automatic as standard.